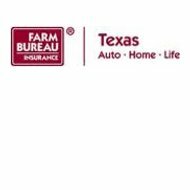 Southern Farm Bureau Life Insurance Company offers health insurance in Texas under the Texas Farm Bureau label. The policy is only available to Texas residents. According to A.M. Best at www.ambest.com, Southern Farm Bureau Life Insurance Company and its subsidiaries are rated A+. You can receive a quote from a Southern Farm Bureau Life Insurance agent by clicking on the toolbox on the company’s website. The company issues a disclaimer that explains that the quote you receive may change after your medical history has been reviewed, your policy riders have been chosen, or once a coverage date is established. In order to receive a quote, the site requires you to fill in the ages of the adults who wish to be covered and whether or not you are including any dependents. You must also choose whether you are a tobacco user, are currently taking prescription medication, or wish to have an occupational rider on your policy. The website also asks you to enter the zip code you reside. You can find a Southern Farm Bureau Life Insurance agent in your area by clicking on the link on the company’s website. The link will take you to a page where you can either enter your zip code or click on the county. Either way, the agency listing will appear for your review. You can also email any of the employees listed on the agency page by following the link provided. A map of the agency location is provided for your convenience. The third plan is a separate Plan D with Occupational Coverage, which works as a rider with the three Plan Ds mentioned previously. A breakdown of the plans is available on the company’s website. Texas Farm Bureau Major Medical Plans are available to individuals between the ages of 18 and 65 who live in the state of Texas. Dependents up to the age of 26 may also be eligible for coverage. Tobacco users may or may not be covered. Determination is subject to the review of the Southern Farm Bureau Life Insurance Company. Certain preexisting medical conditions will not be covered under the policy, but if you meet favorable health requirements, you can receive a discount on your premium. Once you have had the policy for two years, it cannot be terminated unless the company believes you have been fraudulent or if you have failed to pay the policy premiums. The Major Medical Plan offers a money back guarantee. The company promises to refund your premium within 30 days if you are not satisfied with your contract. Payments for the Major Medical Plan can either be automatically taken out of your bank account on a monthly basis or paid quarterly with a paper statement. Policyholders also have the ability to make online payments by logging into their accounts on the company’s website. You can also email the company directly by following the link on the Texas Farm Bureau’s website.